Marco Cassiano was born in Rome, Italy, moved to Lugano (Italian Switzerland), is a strategic consultant specialised in forecasting models, journalist, writer, movie maker, poet. His professional and personal story is characterised by an original approach to things and a completely free approach with reality. Out-of-the-box thinker is always looking to understand how the society and human kind is going to. With a degree in Strategic Marketing, worked in the great distribution and retail for many years, he directed a private university in Roma (www.istitutoquasar.com) and worked independently like a consultant. 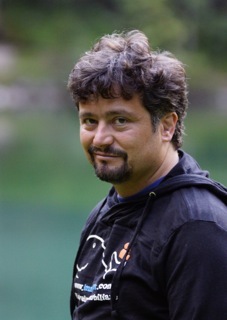 He is president of two associations www.caffeculturale.ch (cultural club in Lugano) and www.videus.ch (association for movie makers) and is always trying to change the business model of the world. He forecasted correctly the late political events and is continuously looking for a different drawing of geopolitics and economy.